Q3 Academy uses the ParentPay system in order to allow you to avoid sending you child into the Academy with cash for their breaktime/lunchtime purchases. Via PayPoint terminal (available in most newsagents and supermarkets). N.B. You must contact Mrs V Barnett (Ext. 1828 or Email: vbarnett@q3academy.org.uk) to order a PayPoint card. 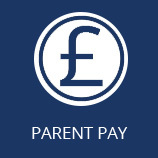 For any queries or further details of the ParentPay system, please contact Mrs V Barnett (Ext. 1828 or vbarnett@q3academy.org.uk). The Academy has cashloaders located in two points of the building to allow coins and notes to be loaded onto a student’s account. Only 10p, 20p, 50p and £1 coins are accepted. The machines also accept £5, £10 and £20 notes as well. Students are responsible for ensuring that the money put into the machine appears on their account by checking the display.